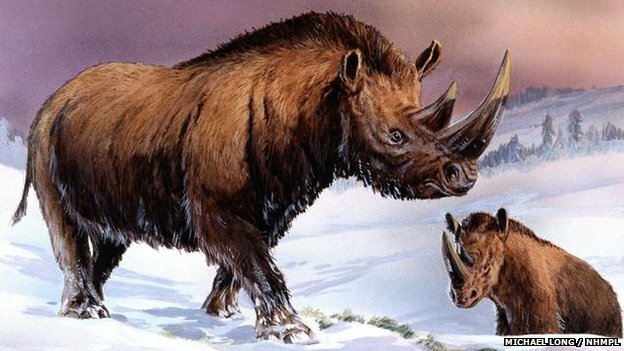 The preserved body of a woolly rhinoceros has revealed new insights into how this now extinct giant animal once lived. Now an analysis of a female woolly rhino found preserved in Siberia reveals that the animal was a herbivore that grazed mainly on cereals, and was similar in size to today's Javan rhino. What secrets could John McCain have? “Grazed mainly on cereals” - Frosted Flakes? I thought this was an Alan Simpson thread. “The animal was a herbivore” - ohhhh......they were gay. ...due to its inability to wade through deeper blankets of snow, which became more common as the climate changed, say scientists. Those dang velociraptors and their SUVs. They call it a “giant animal” and then write that it probably died off because it was too short to plow through the snow. I guess everyone else had snowmobiles. That's a load of hog wash. We all know climate warming didn't start until the introduction of the internal combustion engine, coal fired power plants and the back yard bar-b-que, so sayeth Swami Algore!!! Not likely. The face looks like a snow plow. It looks a bit like a wild boar. Strange. It's about the size and build of a modern American bison which existed in staggering numbers on the Great Plains precisely because it dealt so well with intense blizzard conditions. Hmm. So why didn’t rhinos evolve to deal with it? That big horn would be as good of or a better plow than a bison’s head. Bison did not migrate south in any particular pattern. The Canadian Woods Buffalo lives around the Arctic Circle. The Mountain Buffalo lived in the high country of the Rocky Mountains. 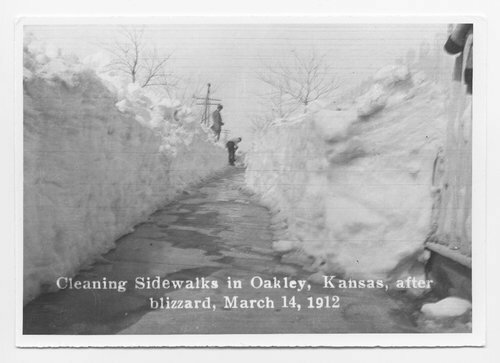 Thank goodness it doesn't snow much on the Great Plains. "...So why didnt rhinos evolve to deal with it? ..."